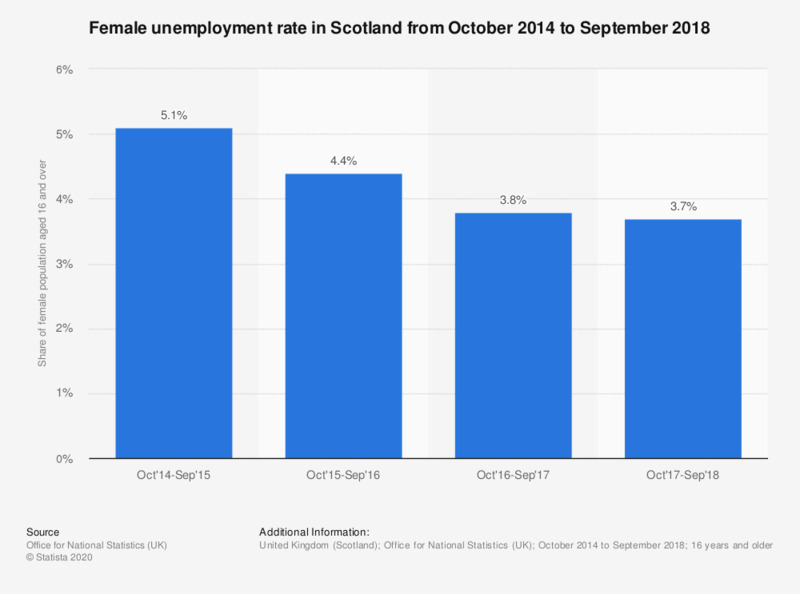 This statistic shows the female unemployment rate in Scotland between October 2015 and September 2015 to October 2017 and September 2018. During this period, the unemployment rate declined by 1.4 percent, amounting to 3.7 percent in the most recent period. Women: On an averafe day, how many hours do you spend on the topic of US and world news? Women: At which time of day do you feel the least attractive?